Few students have the financial means to simply pay for a college education. Even at a state university, costs will average $10,000 a year, and a private institution will easily cost twice that amount. To help defray the costs, and thus enable more people to obtain college degrees, federal and state governments, as well as many private institutions, offer grants. Grants are not the same thing as loans; grants do not have to be repaid, whereas loans do. However, participation in a grant program does not automatically exclude the student from other financial aid, such as student loans. One of the most popular grants offered by the federal government is the Pell Grant. Established in 1972, the program is designed to fund higher education for lower income students. Although subject to budgetary restrictions and frequent change, current Pell Grants are available for up to $4,000 per year. The average household income to qualify for this amount is $20,000 or below annually. The amount will be adjusted based on whether the recipient is classified as a full time or part time student, and whether they will attend year round. The federal government has several different grant programs available primarily for students who can demonstrate financial need. However, there are hybrid grants that are subject not only to income limitations but to other criteria. Three years of mathematics, with Algebra I being the lowest level course. Three years of science, with at least one year each from two of the three courses (physics, chemistry, biology) designated. Four years of English and one year of a foreign language. Three years of social science. The maximum Academic Competitiveness Grant a student can receive is $750 for the freshman year and $1,300 for the sophomore year. However, when combined with the Pell Grant, the total amount cannot exceed the actual cost of attendance. As with an Academic Competitiveness Grant, students must be Pell Grant recipients and maintain a 3.0 grade point average. Students can receive up to $4,000 per year in SMART Grants, but the combination of the grants cannot exceed the actual cost of attendance. 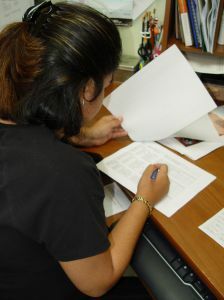 In addition, students must take at least one course per semester that is from the categories stated. For example, a computer science major would qualify by taking a course such as calculus along with a humanities course, an art class, a literature course, and a physical education class. However, if the calculus course is replaced with an economics course, the student would be deemed ineligible for the semester even if the economics course is required for completion of the degree plan. For students with the greatest financial need, the Federal Supplemental Educational Opportunity Grant, or FSEOG, can offer between $100 and $4,000, depending on several factors. These are campus based programs, so the financial aid policies and availability of funds of the specific school are major factors. The time of year the student applies and the degree of the student’s financial need are also determinants. The FSEOG is designed to supplement the Pell Grant, so students must also be Pell Grant recipients. Almost every state in the union has a plethora of grants available for college students. Some are based on financial need, while others are for students majoring in high demand areas, such as nursing or teaching. While students need to research the grants available from their specific state, here are some examples of grants that are available on the state level. Oklahoma offers the Oklahoma Tuition Aid Grant, or OTAG, that can provide up to $1,300 per year for students who can demonstrate financial need. The Oklahoma Equalization Grant offers economic assistance to students who wish to attend a private university or college. While financial need is a factor, many middle-class students can also qualify for these grants, which are limited to a maximum of $2,000 per year. Alaska offers the AlaskAdvantage Grant in amounts between $500 and $2,000 for students who have financial need to attend a state university or college. The program is limited to undergraduates who are residents of the state. Texas offers numerous grants, both general and career based. One of the most popular is the Texas Educational Opportunity Grant Program, or TEOG. It is designed for students who do not already have any level of degree and who attend public 2-year colleges. The amount of the award is determined annually, but is intended to cover all tuition and mandatory fees. New Mexico offers the College Affordability Grant to non-traditional students, typically older students, who can show financial need. The New Mexico Student Incentive Grant offers from $200 to $2,500 for students at a state university who can show economic need. And the Legislative Endowment Grant can provide up to $2,500 for financially disadvantaged students to attend a state university or public college either part time or full time. Minnesota offers several general grants that are based on financial need. The Minnesota State Grant is designed to assist lower to middle income students who attend a state university full time. The Child Care Grant helps students with children by covering child care costs so that the parent can attend a state university full time. The Alliss Opportunity Grant Program provides assistance to adult students without a degree who have not been enrolled in college for at least seven years. The grant is not available for students attending private universities. And Minnesota’s Dislocated Workers Grant Program is also geared for adult students, but targets those who must receive training in a new field due to being displaced in the workforce. In addition, women, particularly minority women, can find numerous grants in the fields of law, journalism, and business. There are also many categories of special grants offered by numerous states. For example, there are grants for those leaving the foster care system, as well as for the children of state or local police officers. Some grants are available from the federal government, such as the SMART grant, and others are offered at the state level. Still others are provided by corporate sponsors, such as IBM, Bell Labs, and Lucent Technologies. The starting point for federal and state grants is the FAFSA, or Free Application for Student Aid. This can be completed online or at the financial aid office of the selected university or college. Before beginning, gather all information needed. These will include the student’s prior year’s income tax return (or parents’ if a dependent). Generally speaking, students are considered emancipated if over the age of 21, married, or a current or former member of the military. On the FAFSA site, search for the codes for the schools to receive the results. A PIN allows students to return to their applications and check the status or make changes. The FAFSA will ask questions about income, marital status, and the number of dependents in the family. It will also ask how many other college students are in the immediate family. Once all of the questions have been answered, the application is signed and submitted electronically. Apply as soon as possible for grants. Federal deadlines are usually the end of June prior to the beginning of a new school year in the fall. State deadlines vary, but many are much sooner, some as early as March. Additionally, state funds can be quickly depleted, and students may find that all disbursements have been made well in advance of the beginning of term. Corporate grants, or those offered by private organizations, normally have their own set of application protocol. You can usually find the details and the application on the company’s website. What Other Sources of Funding Are Available? Do not neglect to pursue scholarships as a source of college funding that does not have to be repaid. Many are available from the state and federal governments, while others are offered by a specific university. Some require financial need, but others do not. Here are a few examples of available scholarships. The Anita Borg Scholarship is geared toward women pursuing degrees in computer engineering. The American Indian Science and Engineering Society offers scholarships at both the undergraduate and graduate levels for Native Americans who wish to pursue an engineering degree and can demonstrate financial need. IBM offers paid internships to minority engineering students, specifically Hispanics, Native Americans, and African Americans. On the state level, Texas offers several career based scholarships. For example, accounting students beginning their fifth year are eligible for a $3,000 Fifth Year Accounting Student Scholarship provided they give a written statement of intent to take their CPA exam in Texas. Students of library science who are fluent in both English and Spanish can apply for a scholarship designed to increase the number of bilingual librarians in the state, the Jeanette Marquis Memorial MLS Scholarship. Nevada offers the Governor Guinn Millennium Scholarship Program for high school seniors with excellent academic achievements. Students should be interested in a four year degree program, with a major already selected. The scholarship primarily covers the cost of tuition. Louisiana offers the Rockefeller Wildlife Scholarship to residents of the state who are seeking degrees in forestry or wildlife management. This renewable scholarship is available for undergraduates only. Many states offer scholarships for education students who commit to teaching in specific fields, such as science or mathematics, or in specific areas, either rural or inner city. Depending on the particular needs of the state, scholarships are also available in fields such as veterinary medicine, nursing, and physical therapy. Numerous states offer scholarships or student loan repayment for students who agree to teach for a certain number of years in the state. Subjects and areas are usually restricted, but it is not uncommon for someone who teaches for 5 years in a participating state to have all of their student loans repaid. There are also scholarships offered for children of specific groups. For instance, in the state of Oklahoma, children of those killed in the 1995 bombing are eligible for scholarships. Many states also provide scholarships for children of first responders killed in the line of duty. Ancestry can also provide an avenue for scholarships. Descendants of certain veterans may find themselves eligible for financial aid based on a grandfather’s participation in a named battle or military unit. There are also scholarships available for children of military personnel killed in recent wars. Some examples would scholarships offered by the United Daughters of the Confederacy (for women who can prove descent from a veteran of the Confederate army) or those offered by the Daughters of the American Revolution to both males and females to pursue assorted courses of study. Not all states restrict scholarships to current residents. Many are open to anyone who wishes to attend college in their state, and some even encourage students to transfer. For example, the state of Oklahoma offers scholarships to students enrolled in chiropractic schools in other states if they will transfer to Oklahoma. 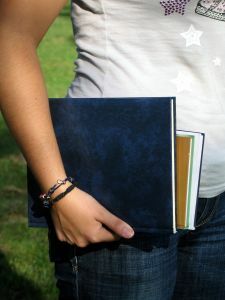 Some scholarships are administered by universities, and financial aid departments are the best source for determining eligibility and making application. Students can also search online to find scholarships to which they wish to apply. All other avenues of potential funding, such as grants and scholarships, should be exhausted before resorting to loans. The obvious reason is that grants and scholarships never have to be repaid, while student loans do. Many graduates have found themselves in the position of beginning life saddled with ten years worth of monthly payments in the $300 – $400 range. And these are not payments that can be ignored. Income tax refunds can be garnisheed if the loan is in default, and in most states, so can wages. However, if there is no other choice, student loans do provide a means of financing a college education. They should be used with caution, and only taken for the amount that is absolutely required. One FAFSA application will serve for grants as well as student loans. My name is Moriya Ariff & I am looking to return to college to pursue a degree in Nursing. I am a current resident of Georgia, but due to my husbands upcoming work transfer I will be looking to attend classes in Mississippi. I am looking for any assistance in financial aid such as grants & scholarships. Please contact me will any available information @ 228-265-2777 or @ rmariff07@gmail.com. I was doing a masters degree in one of Ethiopia university .Because of the expense the study has,I am unable to afford it to cover all.Hence I looked for sponcers who will cover the expense. I finally promised to offer my contribution to my country and the world at large with the discipline I studied. I am a mother of six adult children and have always wanted to go to college. Now my husband is disabled and my funds are very limited. I’ve always wanted to work with (to me) God’s “special angels”. Society refers to them as “special needs children”. It has been a life long desire. Now I have the opportunity to pursue my dream. I need all the financial help I can get! Hello, my name is Jessica burkhalter. i currently have my CNA, and im trying to go back to college to get my LPN in nursing. My husband is in the military and i currently am unemployed because we just moved to virginia, and my main foucus is nursing school right now. i really need any type of information as far as grants and scholorships that would help me continue my career. thank you so much! Dear,sponsor I am from ethiopia whith economics graduate. I got scholarship opportunities to persue posgraduate program in Netherland.but I did’t get sponsor yet that cover the costs asociated whith the career.I hope I am looking forfard you to help me.If I get it I promise you to excert my skill for the wellbeing of the developing economies particularly & world in general. I am grateful & my thank for your support in helping reach my goal of study in your campus .I am so much appreciating of your consideration if allows me to study for further education & I ‘m highly recommend you to grant me the chance . I am 21 years old young athlete male live in Ethiopia ,and I’m alone solitary live as a parasite depending on public funds only from hand to mouth due to unemployment where I cannot support me any more for higher studies .I have been job searching but with no success yet. I am here, I wish to do it ,so why can’t I ?You see me remaining the same way because our country has not developed yet .I was a dream but life has not good to me at this time because of this situation . I have graduated with degree in economics in 2008-with good grades I want to study modern English language or sport psychology or any relative that I will accept by your order any subject because I’m thirsty to learn ,& I have good time in long-distance & I made many time competitive in cross-country ,road-race running& half-marathon two times, and also I have taken a course of coach in elite athletes disability given us by a professional trainers from Addis Ababa in 2012.They have given us a temporary certificate ,but the permanent certificate after few months they will give us .And also I have extensive experience in athletics training I got that from Addis Ababa coaching & other local cities in Ethiopia., and I have been helping training for athletes in voluntary I began before years ago still now I supporting them beside my running . I promise I won’t disappoint you ,I have the ability to work any job beside studying to pay my expenses too. I’m eager to learn more ,to d more strive & to be more to continue my successful path to lay for myself . If you allow me to start my new life there ,it’s seams me like again born in the world .May I humbly requesting you ,& I do apologize for your worthy time because I have no option than this . Even if not possible for you by the above requirement, I accept you by loan that’s my pleasure . I am very happy if you giving me a chance as international student to study in one of your University /college in your campus. Thank you very much again for your wonderful grants & wise words . I wish you the best in life for your & your families &the entire your campus . I have react favorably my confidence in you & hope you’ll not disappoint me as look forward to receiving your positive & prompt response as soon as you can . I am an African American male at Arizona State University looking for $10,000 to go towards my tuition. I am majoring in Communication as well as trying to pursue a minor in Business. After I earn my undergraduate degree I also plan on continuing on to graduate school pursuing a Masters degree in Sports Administration. My goal in life is to become an high school Athletic Director. I feel my purpose in life is to provide high school athletes, as well as underprivileged high school students, with the resources to get scholarships to college. I am a hardworking student with a GPA of 3.3. The money would be greatly appreciated and would be going to a good cause. I am looking for grants, scholarships, or even donation. Please email me with if you have questions or concerns ajhall6@asu.edu. I have recently started taking classes for OTA (Occupational Therapy Asssistant at Brown Mackie College and I am looking for any grants or scholorships to help with payments. I recently lost my job and that is why I started going to school and I was wondering if anyone knew of grants tthat I could apply for. My name is Colin Sherwood i am married to my wife Melody Sherwood and we have 4 young children and live in Clinton TN and are financially strapped for myself to go to school. I am needing a grant for $3000 to attend Roane State Community College for radiology and radiological physics. I am wanting to much better my life for my family. If you could help me it would be greatly appreciated. Thank you. My name is John Johnsen and I’m currently enrolled at Full Sail University for my B.A. Science – Game Design degree. I’m looking for any kind of financial help i can get. I’m doing this degree with no financial backing whatsoever. I’ve taken loans out but its still not enough to fully get me through school and to live on. If anybody knows anything on how to obtain some sort of grant, don’t hesitate to contact me. Thank you. Hello,My name is Chrystina Livingston and Im 21 years old African American female and I am currently in the process of enrolling in Radian College for nursing in Washington DC. I am hoping to find some scholarships or grants towards my class tuition. I have no type of income and I come from a low income family so its no way I can go to school without the grace of god and the assistance of the government. Please Help! I have goals and dreams of being a pediatrician because I love working with children. I am very determined and consistant in finding the help I need I will not give up! If anyone has information please email me @ChrystinaL91@gmail.com Thank You! My number is 209- 304-0418. Hello my name is Autumn, i am looking into going to animal behavior college and i need to know.if theres any grants i may qualify for. My mother and father both didnt go to.college and from 5th grade to highschool i.was on foodstamps and cash aid by my.mother. i want to get a degree in grooming by animal behavior college and am working part timeand need assistants i dont want to keep working a dead end, go.nowhere in life job. My name is Mike Daniel and I am looking into 3D animation and character design. It is a very confusing major to go into as I don’t know what category of scholarships it would fit under. Plus the FAFSA gave me a very little amount compared to everyone else I have heard about. Both my step mother and my father will not pay for my college so I see no way of paying for it myself. My real mother is deceased and I have been looking for scholarships or grants for that but anyone that I have seen doesn’t apply. Please if you can give me any advice as to where to go, please Email me at Tozanarkand28@gmail.com. Hello My name is Kayla and I am currently a student at University of Pittsburgh. I have no money to return to college but I really would love to go back. I need to find a way to pay for it. I am taking Occupational Therapy with a double in Speech Pathology and Audiology as my majors. My parents are not helping me at all with money, and I have no one to co-sign a loan for me. I desperately need help! I am a rising freshman slated for Ohio University – Honors Tutorial College for English and Journalism. My financial aid package has changed since I signed on May 1st. I can no longer afford to go. I received 2 scholarships, one for full tuition and some towards room and board. I had 2 other grants and a subsidized loan that have now been removed. Because my parents income increased $400 from last year I have had almost $10,000 taken away. I need he to get other grants to replace this amount. Thank you for any and all help. I must say this is a great website and I’m happy I found this to further assist students with funding college. To everyone who’s inquired about getting help with schooling. There are many websites and books to assist with finding information to help fund your education. It takes time and effort. Take your time, find a quiet place and search the internet. Or go to your local library(yes they still exist) and look for some books about scholarships. The help is out there, but you have to look for it. I hope this helps and encourages someone to get started. Good luck!